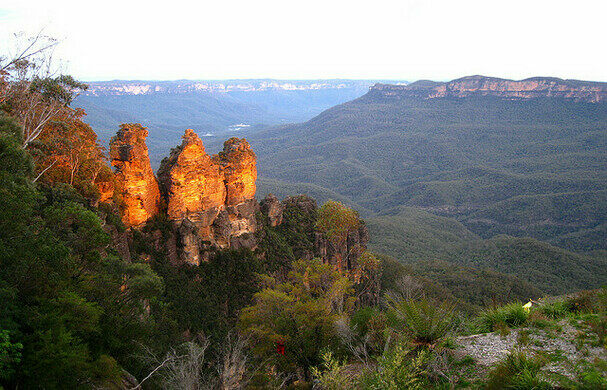 Rising out of Australia’s Blue Mountains, the rock formation known as the Three Sisters is a picturesque natural phenomenon that has inspired an aboriginal legend, or at least it seems that way. Australia's largest medical museum featuring a 19th century pharmacy. 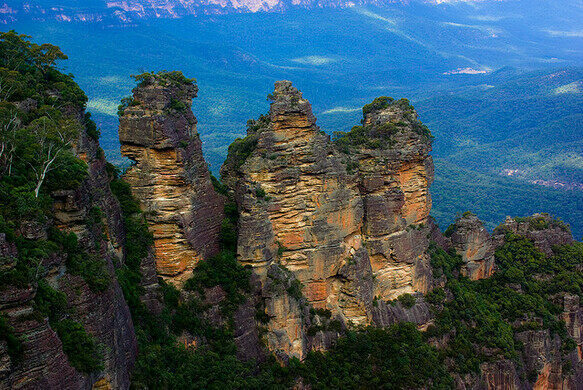 Created by millennia of wind and erosion the trio of stone spires known as the Three Sisters has become a popular site for nature tourism. The sandstone formation takes its name from a local tribal legend that tells of three siblings, (Meehni, Wimlah, and Gunnedoo) who fell in love with three men they were not allowed to marry. Unhappy with this arrangement, the men tried to take the women by force, inciting a tribal war. It is said that a witch doctor of some sort them turned the sisters to stone in order to protect them, and then passed away before he could change them back. While this story does add some enticing local flavor to bait tourists, it may not actually be an authentic legend. Some have suggested that the popular tale is actually the recent invention of a local man in order to drum up tourist attendance. 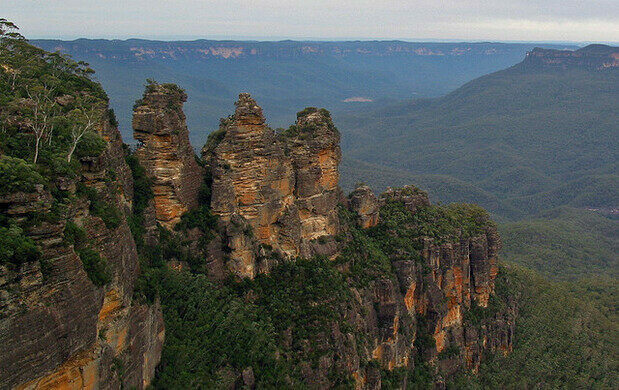 Whether the myth is truly an aboriginal original or just the invention of a local huckster, the natural beauty of Three Sisters is real enough.